Gigabyte has joined the myriad of smartphone manufacturers with a device of its own offering dual-SIM card capabilities and some other goodies for a really competitive price. Called GSmart G1355, the new gizmo will run Android 2.3 Gingerbread and will arrive with low to mid specs obviously targeting budget-oriented consumers. This is why it features a 4.3-inch WVGA screen, an 800 MHz Qualcomm processor, 512 MB of RAM and 1 GB of ROM memory. Also offered are Wi-Fi, GPS, 3.5mm headset jack and a 5-megapixel rear-facing autofocus camera with LED flash. There’s also a microSD card slot that supports up to 32 GB of memory. 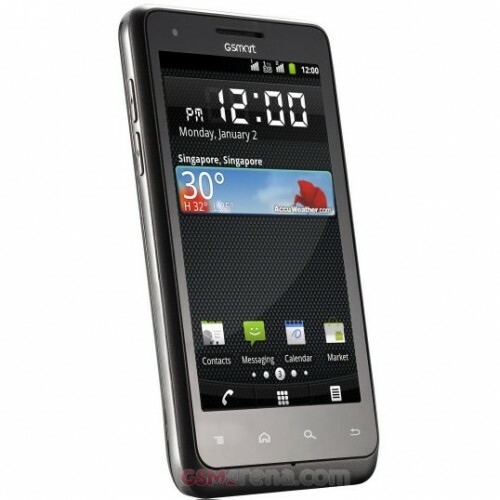 The picture of the Gigabyte GSmart G1355, courtesy of GSM Arena, reveals a really good-looking phone on the outside. The new mobile device measures about 11.5 mm thick and weights about 170 grams. Market availability is expected next month with possible debut at MWC in late February. Pricing as of now is unknown.